This model is absolutely adorable. I love the color-change in the blooms that look like flowers. I used a double-sided origami paper. 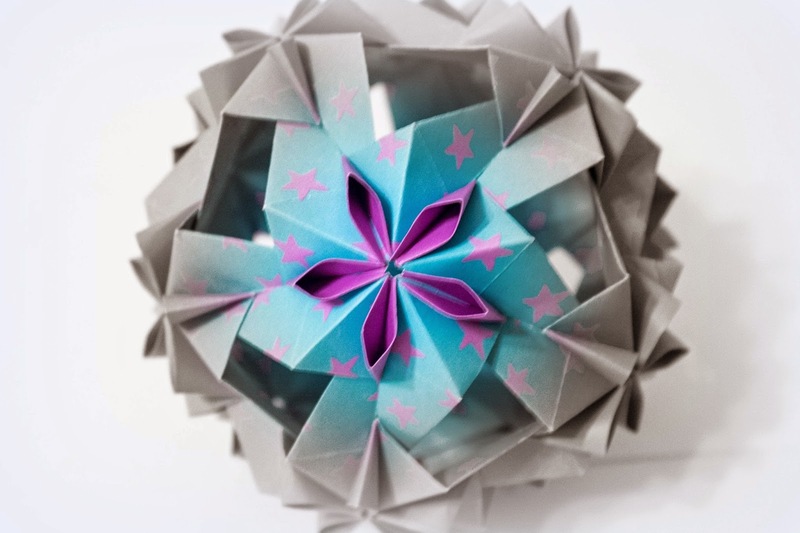 It is a bit thicker than regular kami origami paper, but it did not make folding the simple units difficult. Glue is not necessary, the folded joints hold well. It does use 1:3 ratio'd paper which adds to the work, but not enough to discourage me from another attempt at a later date. If you use 3 x 9 cm paper your finished height will be about 8.5 cm. 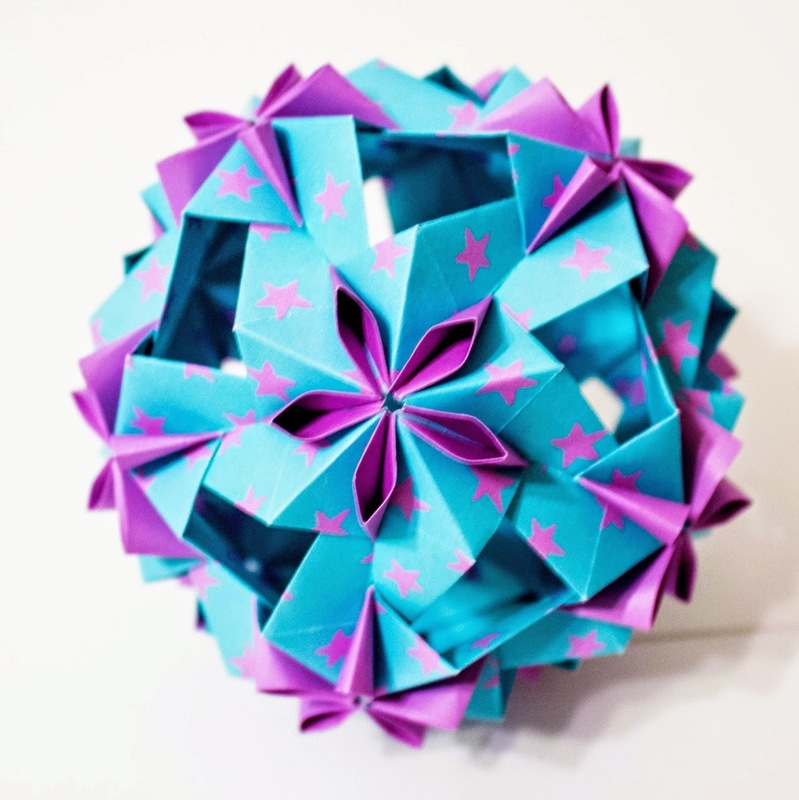 Like the model in my previous post, I found this in an article on OrigamiUSA's website from The Fold. Again, you will need to be a member to access, but it well worth the yearly fee. Online Tutorial or Diagram Available: Yes!